We have a number of spaces available for hire. 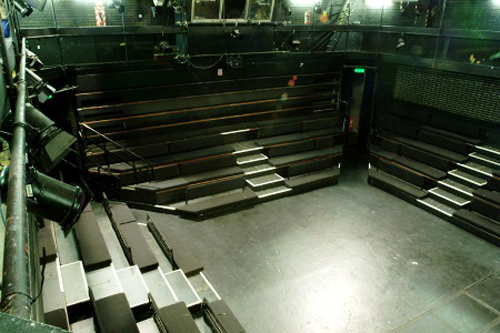 Whether it's a show, rehearsal, photo or film shoot, auditions, writing session, seminar... we have a space for you. All of our spaces are available to hire from 10am until late, but we are more than happy to accommodate times around your schedule the best that we can. When hiring our spaces you’ll have access to our free WIFI; as well as chairs, tables and a keyboard on request at no additional charge. We also have a bar which is open when we have shows or events; selling tea, coffee, snacks and alcohol (if you’re having one of those days). Please note that our studios are on the first floor and can only be accessed via a spiral stairway. To hire a studio, call 020 7258 2925 (lines open between 10.30am - 6pm Monday to Friday & 12-6pm on Saturday’s) - we take payment at the time of booking so please have your card ready. When emailing, please be sure to include a contact phone number, tell us what the activity is you're hiring for, and roughly how many people it will involve. Availability calendar: This gives you a guide to which spaces are free, but does not give the complete picture - do get in touch to check. Opening times vary on Sundays. White space means there are slots available, but you'll need to contact us to check. Coloured blocks indicate which spaces have already been booked and for how long. The Auditorium is a large, versatile space seating up to ~220 in-the-round, or ~170 in thrust configuration. Size: Approximately 8.6m x 6.6m (28ft x 22ft) playing space in thrust. In the round its about a 6.6 m playing space with the seats in or 11m x 11m with the seats out. Total headroom is 8 m.
Guideline costs: Public event: Around £570 for a 5.5 hour block (e.g. 17.00-22.30) including box office, bar, front of house facilities and staffing, etc. But you will need to factor in get-in time during the day for technical work , rehearsal etc at about £40 an hour on top of that for a one day event. This means longer runs of more than one day are generally more economical. Price negotiable according to length of run, complexity and anticipated attendance of drinkers. Additional get-in and rehearsal time is flexible and negotiable and the fee includes technical support to get you started. Additional technical support of every kind available. Dry hire: Around £20 per hour for non-public, dry-hire events such as rehearsals or £40 an hour for film and photographic shoots for that require stage lights and/or technical support. Sound system with CD player and input for iPods/laptops. Small lighting rig with 30A power supply and 6-channel dimmer. There is also a small room available for changing in and short-term storage (available upon request). 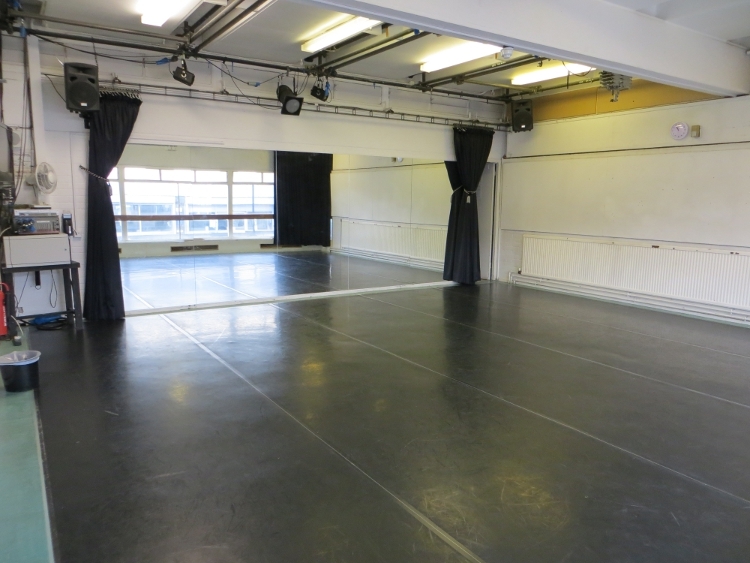 If our studios are busy we are able to offer rehearsal space as available in the auditorium for the same price as Studio 1, with domestic power supply and fluorescent lighting but no theatre lighting, aircon or access to gantry, dressing rooms or workshop. Please be aware that there may be items of set or set dressings in place, although usable floor area will always be equivalent to Studio 1. 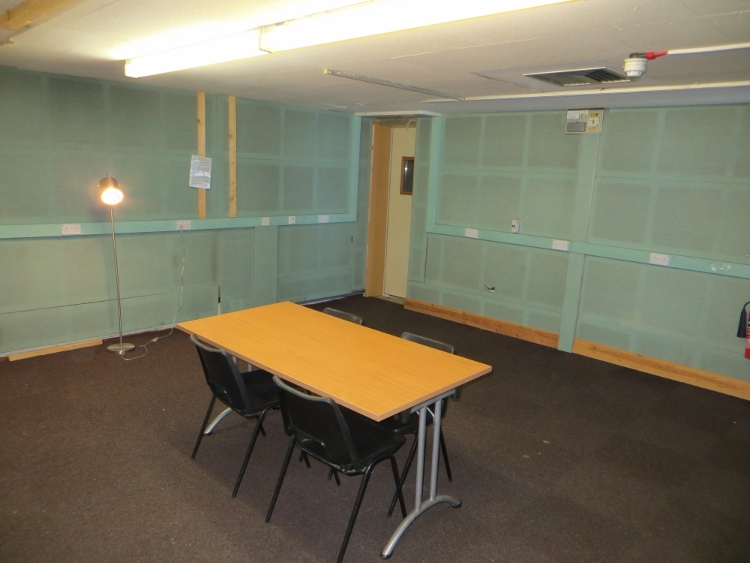 Studio 2 - our smallest space and is used for small group rehearsals, auditions and readings. Not recommended for dance/movement rehearsals or large companies. Good flat acoustic response (As an ex-recording studio, the space is acoustically treated, but is not soundproofed). There is no natural daylight in this room (as there are no windows) but still plenty of light. Extractor fan which removes the warm air from the room. No air conditioning. Size: Approximately 5m x 5m (16ft x16ft). 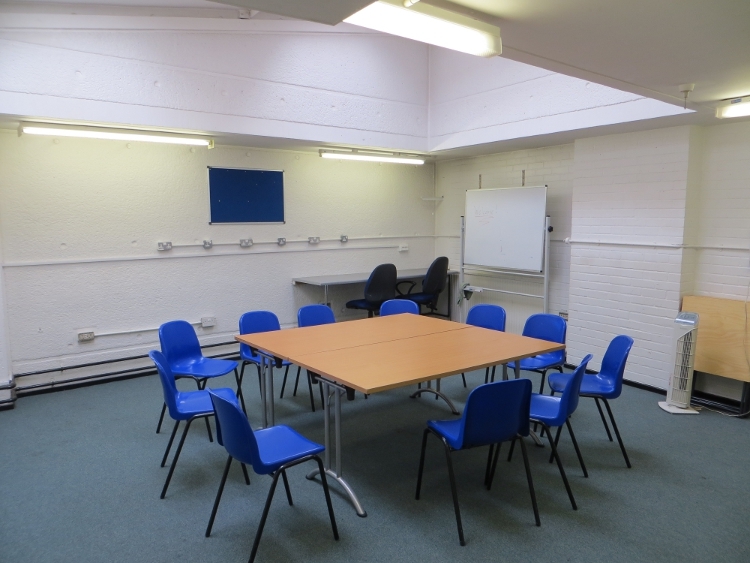 Studio 3 - ideal for meetings, writing sessions, table readings. Phone and internet connections available. Logitech Multimedia Speakers Z150 with headphone/mini jack. Please note: although this electric piano can be used with a compatible sustain pedal, we do not have one on site. You are welcome to bring your own. Please note: We only hire to people over the age of 18. If you may have anyone under 18 in attendance, you will need to conduct a Risk Assessment for your hire. You are welcome to book a time with reception to visit the space to do this. Payment will need to be made before your hire & you will receive a Studio Hire receipt to confirm what you've booked. Your booking is not confirmed until you have paid for it. Unfortunately we cannot leave less than two hours between daytime bookings (10am - 6pm) in the same studio when being hired by the same person or company. We accept cancellations subject to two weeks notice, in advance, and will refund fee paid minus a 15% admin charge (minimum of £8). Cancellations with less than two weeks notice are charged at full rate. We will reschedule your booking at your request, subject to availability. Transfers are made at our discretion, are subject to a 15% admin charge (minimum of £8) and can be denied at any time.